What is PS4? PlayStation is a video game console from Sony that was introduced in the U.S. in 1995. The basic PlayStations consist of a small box containing the processor and a DVD reader, with video outputs to connect to a TV, sockets for two game controllers, and a socket for one or two memory cards. 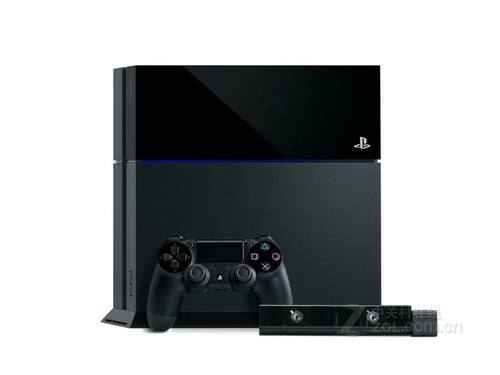 PlayStation 4 (PS4) is the fourth generation of home video game consoles. It contains 8 GB of GDDR5 memory, including a 500 gigabyte hard drive for additional storage, which can be upgraded by the user. The PlayStation 4 features Wi-Fi and Ethernet connectivity, Bluetooth, and two USB 3.0 ports. 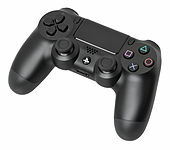 The DualShock4 is the PlayStation 4’s primary controller connecting to the console via Bluetooth which is equipped with several new features, including a touchpad on the front. The controller supports motion detection via a gyroscope and an accelerometer, plus improved vibration, and was the first supported by Microsoft Windows. Can PS4 Play 4K Blu-ray Movie? Unfortunately, no. PS4 Pro console contains 4K content, such as movies and TV shows on Netflix, and 4K videos on YouTube, both of which will be supported by the PS4 Pro. However, it’s missing the biggest 4K feature: it doesn’t have a 4K Blu-ray player. Which is a big surprise because Sony invented the Blu-ray format. 4K Blu-rays offer a better quality than any other 4K media (streaming has lots of compression), it would be a pity to unable to play it on PS4. But don’t worry. We have alternative ways to make 4K Blu-ray to work on PS4. Alternative Way 1: Use Leawo Blu-ray Ripper to convert 4K Blu-ray to other regular video formats that PS4 supports and then play in PS4. Leawo Blu-ray Ripper is the best all-in-one source for Blu-ray ripping into various formats such as FLAC, AAC, AC3, AIFF, AMR, M4A, MP2, MP3, OGG, RA, AU, WAV, WMA, MKA, regardless of disc protection and region restriction. Support to rip Blu-ray and DVD discs released by all movie studios. 4K Blu-ray is known for its outstanding qualities. With features of quality-lossless Blu-ray/DVD conversion tech, Leawo Blu-ray Ripper can convert 4K Blu-ray to other regular video formats without any quality loss, offering cinema-like movie experience for you with your home theatre system. Here’s a step-by-step guide on how to use Leawo Blu-ray Ripper to convert 4K Blu-ray to other regular video formats. Step 1: Download and install Leawo Blu-ray Ripper on your computer, and then click the Blu-ray Ripper at the home page. Step 2: Import Blu-ray/DVD Files into Leawo Blu-ray Ripper. 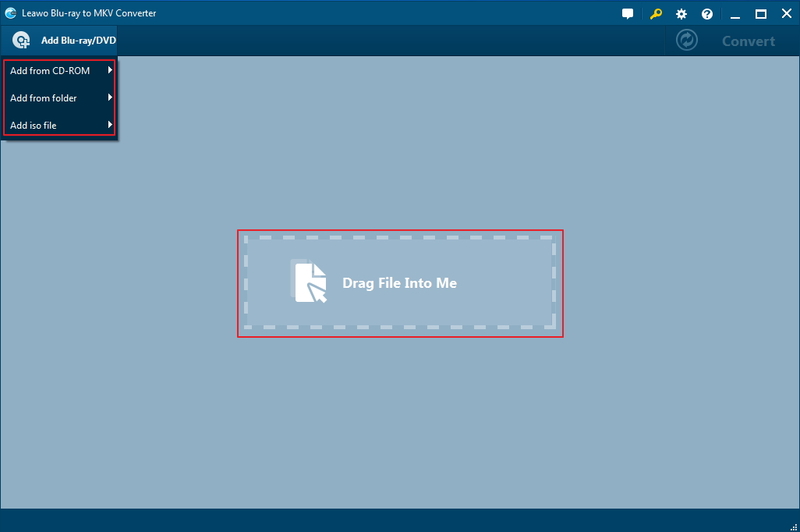 Click convert then “Add Blu-ray/DVD“or directly drag and drop source files into the converting panel. Step 3: Once Blu-ray/DVD content is selected, you will be provided three options for you to import Blu-ray/DVD file(s): Full Movie, Main Movie and Custom Mode. Full Movie allows you to import all titles, and Main Movie only imports the longest title by default while you can freely choose titles for importing under Custom Mode. Choose a mode and select a title, and then click “OK” button to start importing source Blu-ray/DVD files. Step 4: Set output settings. 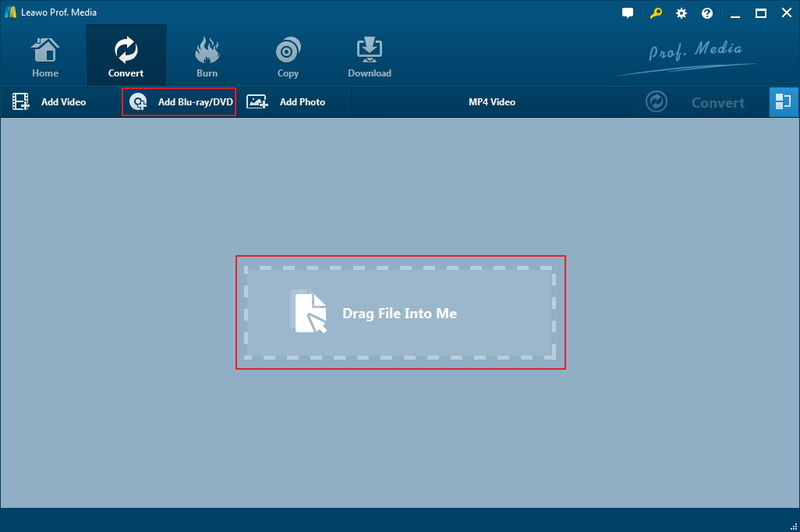 Click the drop-down box “MP4 Video” next to the “Add Photo” button and then click “Change” button to enter the “Profile” panel. 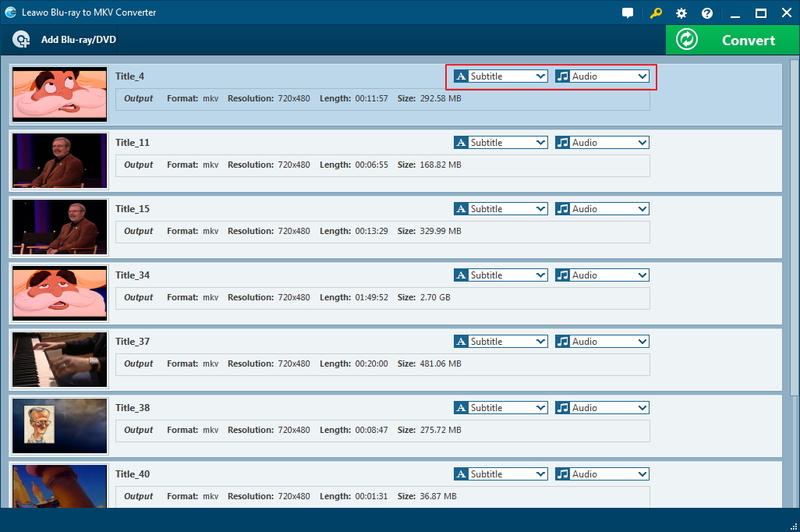 You can choose either video/audio format or mobile device as output profile under “Format” or “Device” group. Step 5: Set output directory. Click the green “Convert” button to set output directory for saving the output files. Step 6: Start converting. Click the “Convert” button at the bottom of sidebar to start converting. You could click “Cancel” button to call off the process at any time. Alternative Way 2: Use Leawo Blu-ray to MKV Converter to convert 4K Blu-ray to MKV format that PS4 supports and then play in PS4. As a professional Blu-ray to MKV converting program, Leawo Blu-ray to MKV Converter allows you to rip and convert Blu-ray to MKV easily and fast yet with 100% original quality retained. 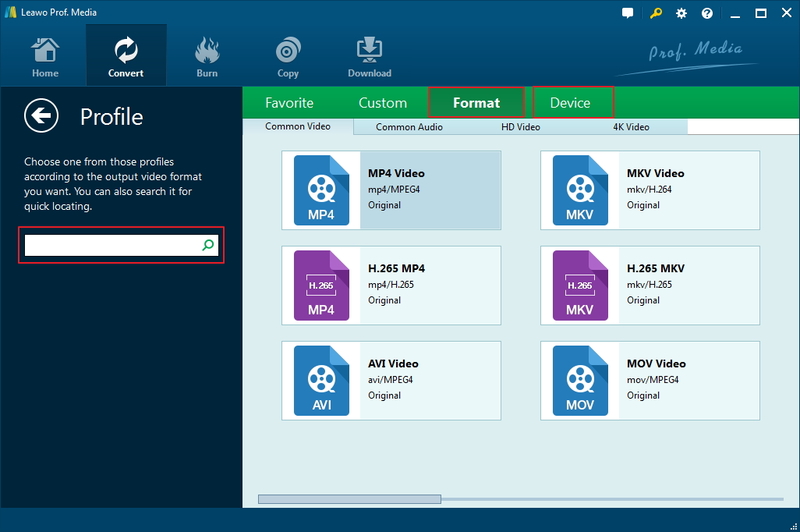 Blu-ray disc, Blu-ray folder and Blu-ray ISO image file are all accepted by this Blu-ray to MKV ripper. The program is able to preserve as many as subtitles and audio tracks the original Blu-ray file has for keeping in the output MKV file, and it even allows you to select your preferred subtitles and audio tracks. At the same time, Leawo Blu-ray to MKV Converter supports DVD content as well: DVD disc, DVD folder and DVD ISO image file. Check the guide below to convert Blu-ray/DVD to MKV with the help of Leawo Blu-ray to MKV Converter. Step 1: Import source Blu-ray/DVD files into Leawo Blu-ray to MKV Converter. 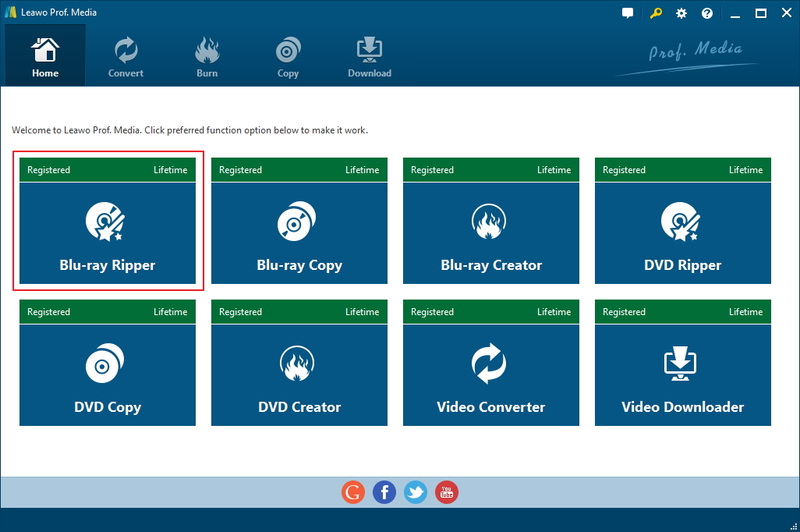 Download, install and kick off Leawo Blu-ray to MKV Converter to enter the main program interface which is in classic blue. Same as mentioned above, click convert then “Add Blu-ray/DVD” or directly drag and drop source files into the converting panel. Step 2: Choose subtitles and audio tracks. After source files are imported, you can select subtitles and audio tracks that you want to keep in the output MKV files. Step 3: Preview source Blu-ray/DVD Content.You can preview source Blu-ray/DVD content by clicking the previewing icon at the bottom left of each title. Step 4: Set output directory. On the main interface, click the green “Convert” button at the top right to pop up a sidebar to set output directory for saving the output files. Step 5: Convert Blu-ray/DVD to MKV. Once the output setting is done, click “Convert” button again to start converting. You can preview, pause, or cancel the conversion process, and at the same time, you can set after-conversion settings as well. That’s all of the guide on how to play 4K Blu-ray movie on PS4 and we hope it can help you to get a better PS4 experience.